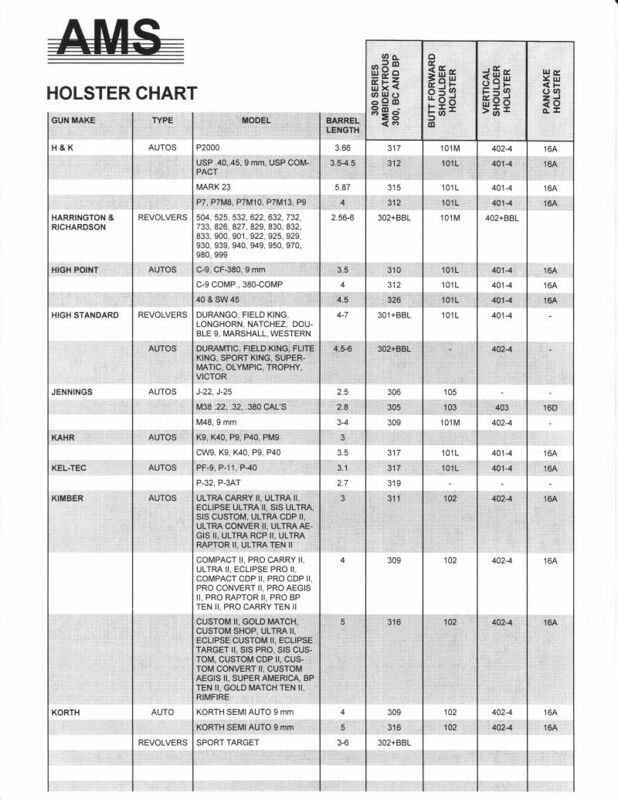 Length: Required 2" 3" 4" 5" 6" 6 7/8" 7 1/2" 8 3/8" 10"
Quality U.S. Made holsters. 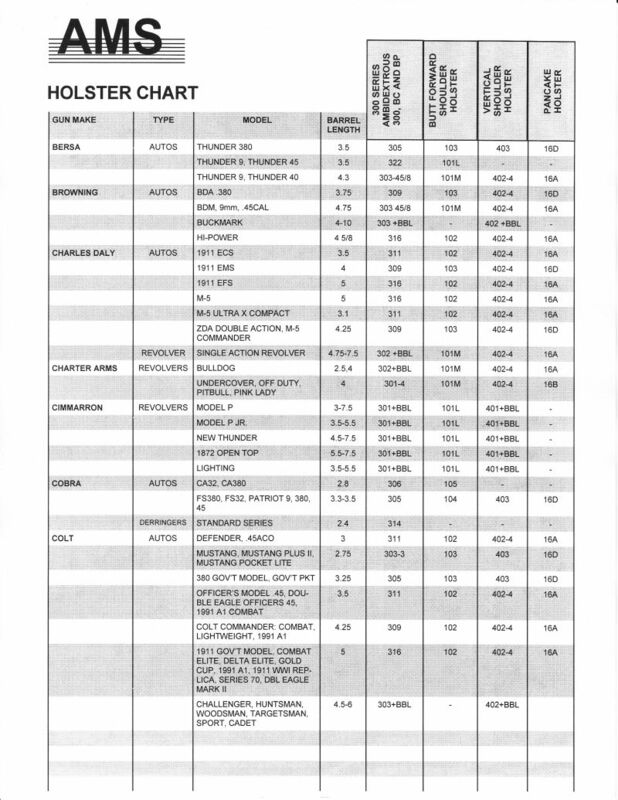 Consult size charts for finding the holster to fit your weapon. 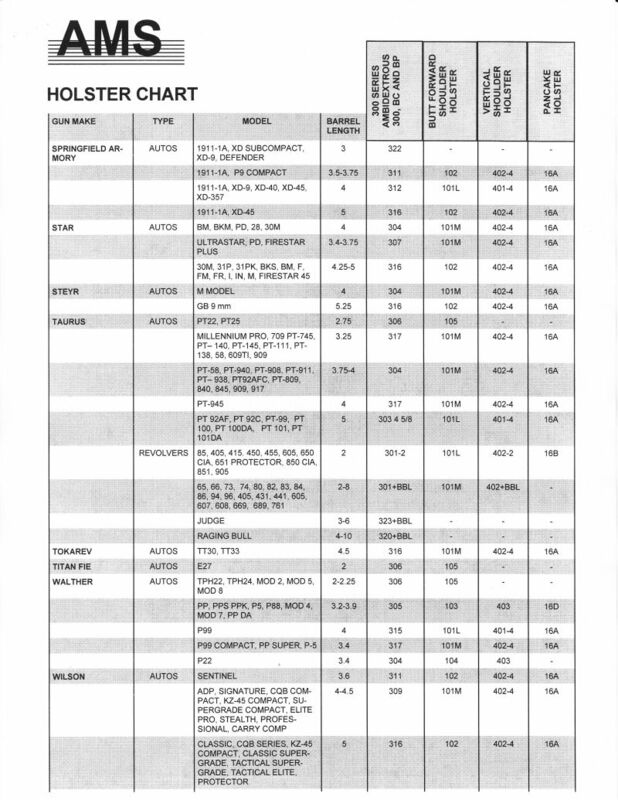 Please note that barrel length selections only apply to 301, 302 and 323 holsters. 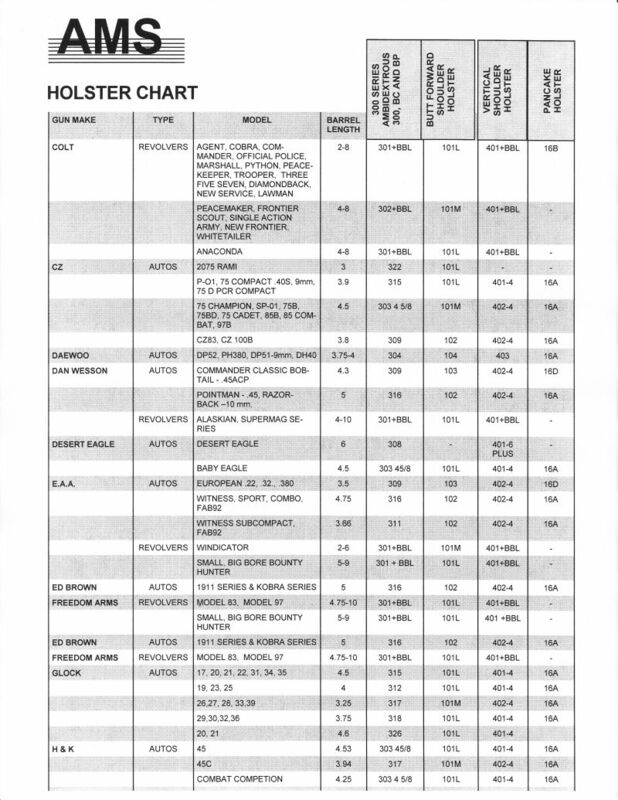 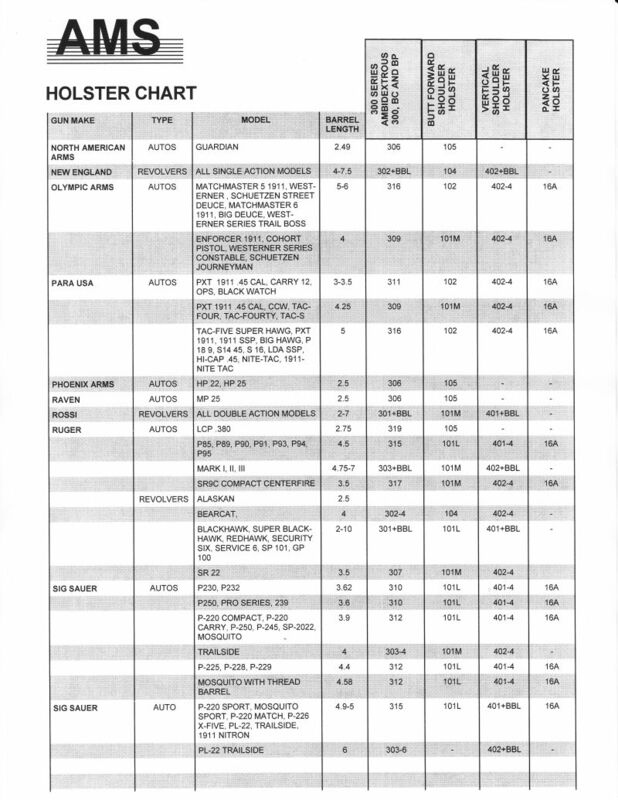 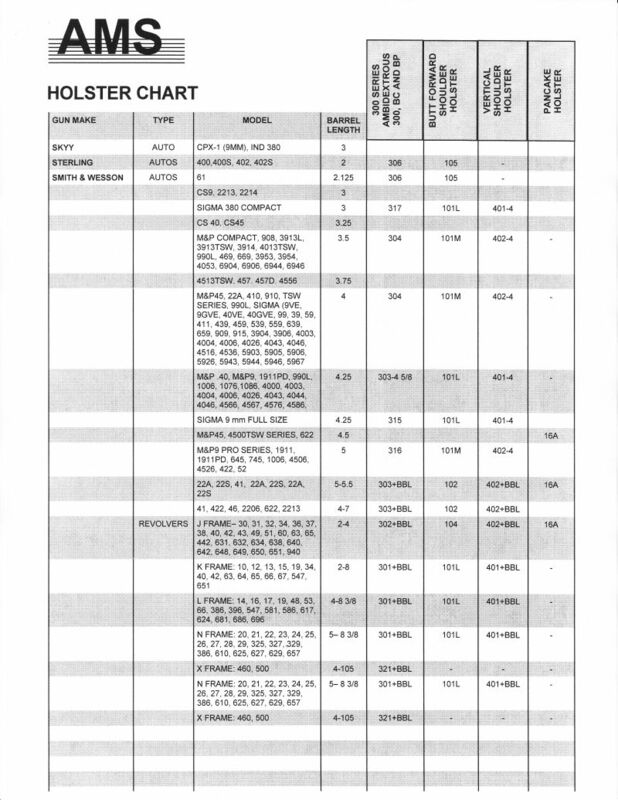 Please find your holster size in the charts below. 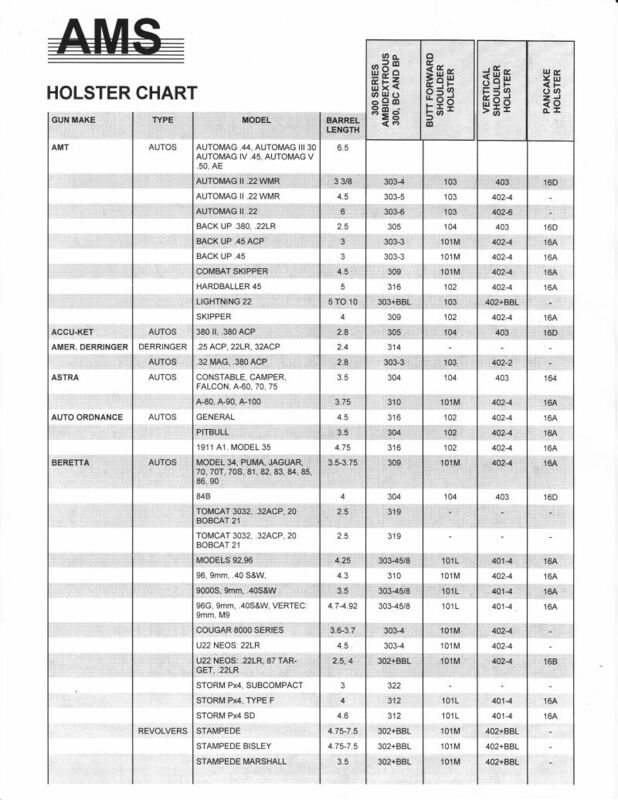 If you have questions please email us at crasor@armysurplusone.com.